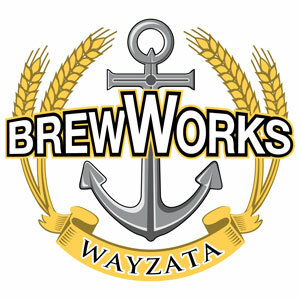 Located in the historic Boatworks building on the shores of Lake Minnetonka, Wayzata Brew Works strives to give patrons a unique beer drinking experience. Their craft beer and taproom reflect the heritage of the building and community – a time when a wooden boat was artfully created by the hands of quality craftsmen. These craftsmen worked within the walls of this facility and helped shape the town of Wayzata into the unique setting it is today. Wayzata Brew Works pays homage to their predecessors by creating craft beers with the same pride and quality work ethic. All ingredients and sparkling water are locally sourced, giving you the freshest grain-to-glass craft beer experience. Live music is a solid part of the vibe at Wayzata Brew Works, with artists performing regularly on Friday and Saturday evenings. Not to mention trivia, comedy showcases and more. And in warmer months, you’ll experience lakeside deck seating that few locations can rival. The brewery serves pizza and soft pretzels, but you are welcome to bring your own food, or order in from many local Wayzata restaurants. Bring your group to Wayzata Brew Works! They can easily handle large gatherings of 25 people or more anytime. Or you can book out the entire space for a larger private event or corporate meeting. The taproom has a stage, perfect for music or presentations.